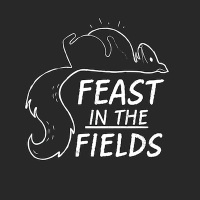 Feast in the Fields is a small food festival at London Fields Brewery, with some great traders (& familiar names) including Jimmy Garcia (of Jimmy's Underground Pop-up in Clapham), Beard to Tail, and Tomscoopery, held over the last weekend of July. All with a chance to drink London Fields beers straight from the brewery. Buy your ticket in advance - see below - or be spontaneous and turn up on the day.